Hi everyone! 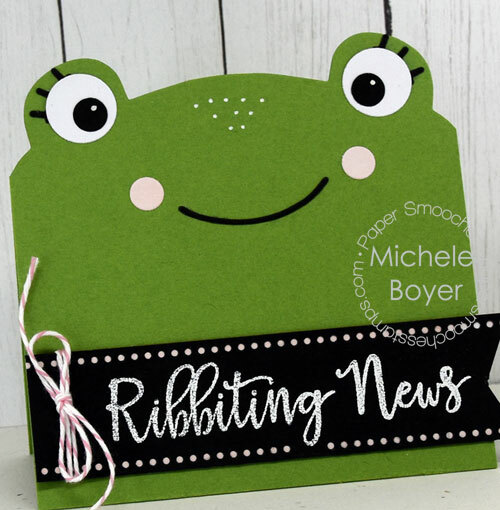 I’m popping in today with a card I created using Paper Smooches‘ Bear Frog Card dies. I used eyelashes from Cat Dog Card die set as well as a sentiment from Critter Card Puns. 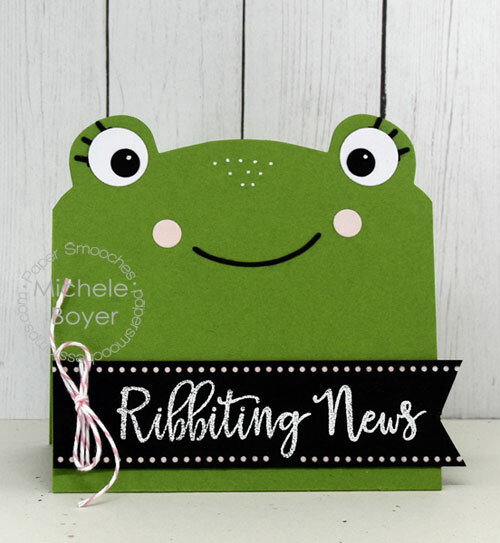 Along the top and bottom edges of the sentiment strip, I die-cut lines of dots using a Dots & Dashes die.